Cryptology is a subject that seems most appropriately applied to spy movies, but it does not need to be so limited. A coded message can be created and used by the average person, just as well as James Bond. Any parent with an older child knows about reaching the point where spelled words are no longer secret. Just like no longer being able to spell words in front of a child, there may come a time where a message may not be safely written in plain English. Enter basic cryptology, a process where messages can be written in code and safely passed back and forth between specific individuals without other parties being able to understand it. There are a variety of methods in which messages can be encrypted but the most basic of these methods is to use a cipher. 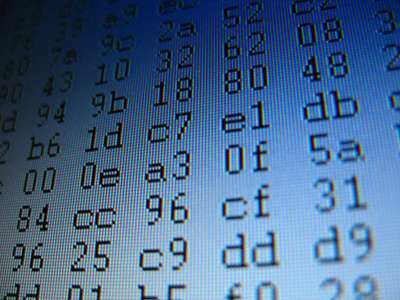 The difference between a code and a cipher is that a code is the process of substituting a word or set of words for another, where a cipher plainly changes each letter in a word into another letter or number. An example of a code could be taking the word ‘prepper’ and substituting it with a combination of letters like “TYURZ” or a certain word such as “calories” whereas using a cipher with a +1 encryption (add one letter), the same word might become “qsfqqfs.” As it can be plainly seen, a cipher would be much easier to crack in comparison to a code. While not as secure, the advantage of a cipher is that it can be decoded by simply changing the individual letters where a code will require a record of the words that need to be substituted. Having a written record of these words can be a security risk and could result in the code vulnerable to being cracked. 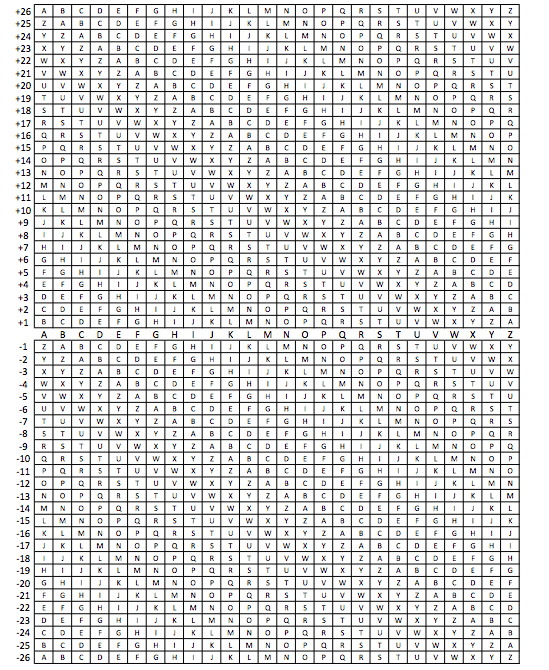 Developing a cipher does not have to be difficult, but the simpler it is, the easier it is to crack as well. My recommendation would be to take a two-pronged approach where a separate encryption is used for the vowels and the consonants. This can be done by taking the vowels A, E, I, O, and U and determine that with a +1 interval, an A will become an E, an E would become an I, etc. A +2 interval for the vowels translates into an A becoming an I, an E becomes an O, and so on. The same can be done with the consonants. To keep things simple, determine a certain encryption to use for the consonants, but when adding or subtracting that interval, do not exclude the vowels. An interval of +3 with the consonants equates to a C becoming an F, a G becomes a J, and so on and so on. Look at the following example for a better understanding. The example will use the interval of +1 for vowels and +3 for the consonants. The sentence to be encrypted is: The crow landed on the branch. Using the predetermined cipher, the same sentence becomes, Wki furz odqghg rq wkh eueqfk. Different days should have different encryption to avoid having the cipher cracked. The same message on a different day might include a -1 encryption for vowels and a +5 encryption for consonants and would transform the same sentence into, Yma hwib qusiai is yma gwushm. Every time THE bell rings at the school. A black CROW cries out in the darkness. An airplane LANDED at the airport. It was ON the last Sunday of the month. Two of THE basketball players were tall. The tree BRANCH was losing all of its leaves. This same method can be varied by changing the coded word in each sentence such as making the operative word the first in the first sentence, the second word in the second on so on. This could also be reversed. Once again, imagination is the only limiting factor. Another good method for a prepper to code messages is using a book that is common to both parties. If you decide that a copy of The Hunt For Red October by Tom Clancy will be the book used, all that has to be done is find the word needed and record the page number, line number, and word on that line that the word is. For example, the word might be “truck” and would be recorded as 4 17 6 because it is located on page four, in line seventeen, and it is the sixth word in the line. Much like the cipher, this code could be used with only one book or several books. The use of encrypted messages can be employed in a variety of ways for a prepper. Using a unsecure radio such as a CB or family band radio for communication can be risky if sensitive or personal information is being shared. Communications by email or online chat programs are susceptible to being intercepted by law enforcement or intelligence agencies. Leaving a message in a meeting location or dead drop is not secure. With so many possibilities of information being compromised, the best way to securely communicate using these methods is to encrypt all messages. While having a coded message only makes communicating more difficult on both the sending and receiving ends, it can also make the difference between keeping a message private or not. Ultimately, in the worst of the worst scenarios, having the ability to communicate using cryptology can make the difference between safety and danger. Tom Miller is a prepper, U.S. Army combat veteran, and the owner of the preparedness blog, The Prepared Ninja. When he is not writing for his blog or the other preparedness resources he regularly contributes to, he can be found spending time with his family, fishing, working on a project in the wood shop, or enjoying the other opportunities available in the outdoors. TY for sharing Tom. This is an area we need to work on. Great post – sure gives one something to think about!! This should be discussed at a future get together.